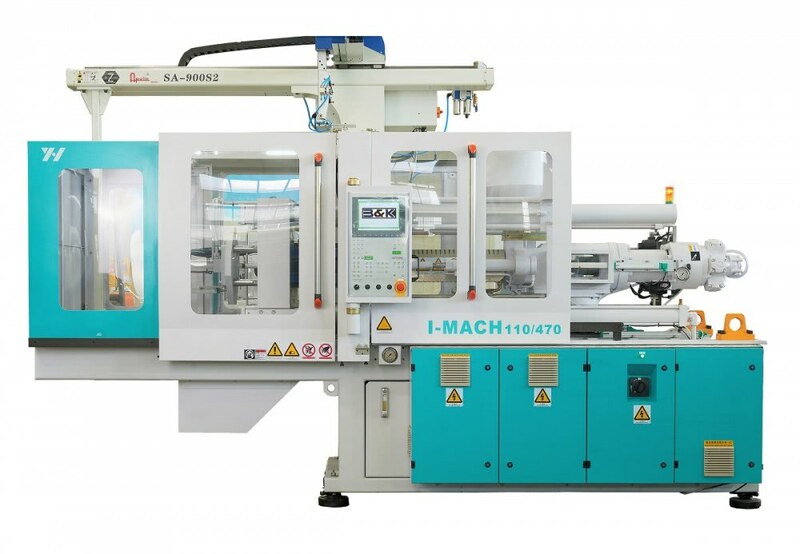 B & K sc Żywiec offers for sale energy-saving injection molding machines with advanced servo drive from German company Bosch Rexroth and control KEPLAST 1075 Austrian company KEBA. Drive and control used only by the best manufacturers of injection molding machines. Come, see. Together, we will improve the productivity of your company. Machine delivery time 3-4 months. The possibility of choosing one of three diameters of the plasticizing snail. Double access cylinder of the injection unit. Open spherical plasticizing cylinder nozzle. Hopper made of stainless steel. Temperature control of the feeding zone of the hopper. A proportional valve for plastification backpressure enabling control from the desktop. Snail stroke monitored by a precision linear position transducer. Departure and access of the aggregate monitored by a precision linear position transducer. Automatic nozzle setting into the mold. Multiprocessor control system "KEBA" Austria model 1075 with a color display 10.4 ".